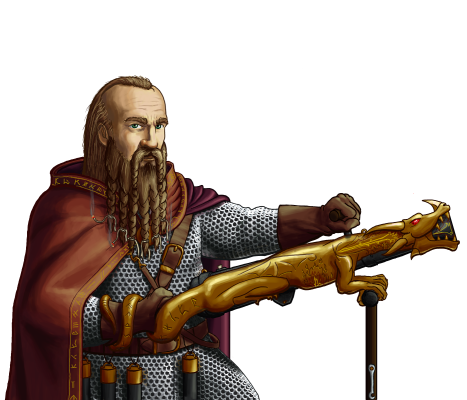 Dragonguard by thespaceinvader/Philip Barber for Battle for Wesnoth , License GPL . Wesnoth braucht neue Handwerker und Handwerkerinnen! Pro-Linux hat einen Deutschen Artikel über den Aufruf . C++ programmers with intermediate to advanced knowledge of the language, preferably with prior experience in maintaining a large codebase. Having experience working on computer games on Wesnoth’s scale would be a plus. We are in particular need of more people able to help with development on Microsoft Windows and Apple OS X, both platforms where Wesnoth suffers from long-standing bugs that greatly impact the game’s usability. Python programmers able to take over and maintain, and hopefully improve, our mainline maintenance toolchain, including wmllint, wmlindent, and wmlscope. WML coders able to take over maintenance of any of the following unmaintained mainline campaigns: Heir to the Throne, Dead Water, Delfador’s Memoirs, Liberty, Legend of Wesmere, The Sceptre of Fire, The Rise of Wesnoth, The South Guard, Eastern Invasion, and Son of the Black Eye. In particular, Legend of Wesmere is in dire need of people willing to invest additional time testing and fixing its multiplayer port for both 1.12.x and 1.13.x, as it risks being removed in a future stable series otherwise. It is our hope that with your help, we will be able to take Wesnoth higher and expand its fanbase. We already have plans to release Wesnoth as a free game on Steam once we have an active enough team to quickly fix any reported issues as they come in. We hope to make that a reality, and possibly go even further. But again, we need your help to make this happen. — vultraz, Creator of Shadows of Deception and co-creator of the Era of Chaos.